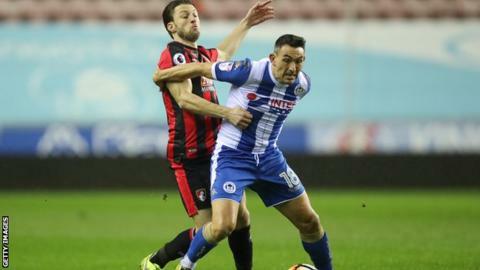 Wigan forward Gary Roberts has signed a one-year contract extension to stay with the Latics until the end of next season. The 34-year-old, who joined Wigan from Portsmouth in 2017, has made almost 600 career appearances. He has played 16 times for Wigan this season, scoring two goals. "Gary is a cracking lad, he has never let me down and he has been brilliant to have here at Wigan Athletic," said manager Paul Cook. "He has shown this season he is more than capable of playing in the Championship and his experience is really beneficial to our group." Roberts' previous clubs include Accrington, Ipswich, Huddersfield and Chesterfield.